BUFFALO, New York (June 27, 2018) -- Majors Steven and Valerie Lopes will assume their new assignments as Coordinators for The Salvation Army in Buffalo. A fourth generation Salvationist, Major Valerie is one of six children, raised by two loving parents who attended The Salvation Army. She has experience working in health care and directed a senior program at her home corps in Plymouth, Ma. She graduated with honors from the College of Officer Training, and received the Chamberlin Award. She enjoys giving leadership to youth ministries, and helped to create a national program called Kids F.E.A.S.T. (After School Program). Major Steven is one of 11 children, of Portuguese and Cape Verdean descent; raised in the Roman Catholic tradition. Married at The Plymouth Salvation Army Corps, Steve started attending the Corps with his wife and daughter Nicole. He served as the Corps Sargent Major (Deacon) for 10 yrs. He received his call for officership in 1986, while attending a New England Advisory Board Conference with his wife and Pastor. Nine years later his wife received her call and they entered the training college in the fall of 1995. In addition to graduating from Seminary, he has a BAM from Eastern Nazarene College, where he was honored with Male Student of the year. He has also taken graduate classes at Gordon Theological Seminary in Charlotte, N.C.. He served on the Christian Leadership Alliance (CLA) and is a Credentialed Christian Nonprofit Leader. He additionally served for six years on the Territorial African Heritage Committee. 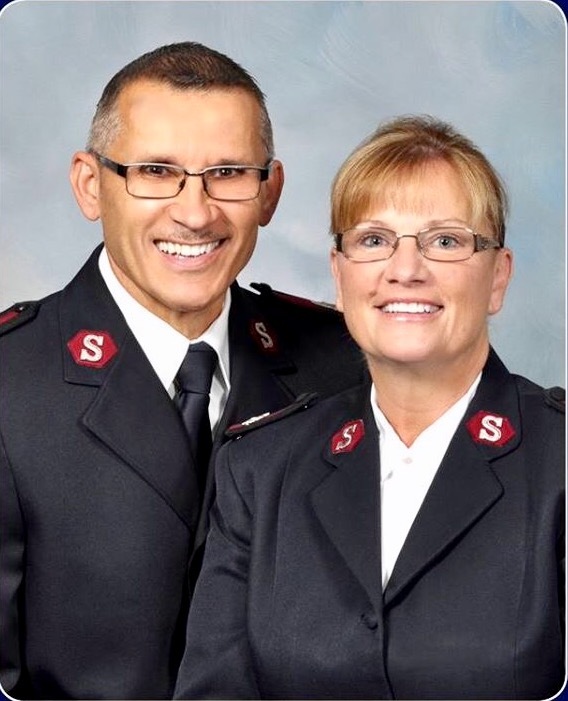 As Salvation Army officers, the Lopes have served in pastoral and administrative appointments in Massachusetts, Ohio, Connecticut, Rhode Island, and most recently, Albany, New York. They have two children and six grandchildren. Majors Steven and Valerie Lopes bring to their new appointment as Buffalo Coordinators, not only a wealth of experience in working with people of all ages from all walks of life, but also a love of God and a commitment to serve the greater Buffalo community.